JOHN ADAMS: A GROUSE HUNTER? I apologize the followers of Upland Ways for not posting on the blog lately. I have been engaged in starting up a law practice with a partner. Things have been hectic, but good. Lately, I’ve been reading some great books on U.S. Presidents including, John Adams, by David McCullough. I have been amazed at the dedication and sacrifice of this great, but imperfect, man. Every American should read this excellent book. In my article, “A Presidential Pursuit,” which was published by Sporting Classics Daily, I wrote about our first three presidents, George Washington, John Adams and Thomas Jefferson as bird hunters. For those of you who have not read the article, here is the LINK. 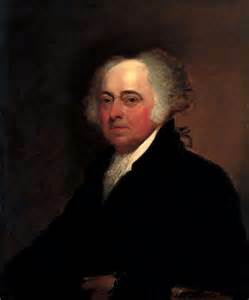 I shared that when John Adams was young, he was extremely zealous for hunting with his fowling piece. While he did not expressly state what birds he hunted, I surmised that he hunted ducks, geese, heath hens, and ruffed grouse. Admittedly, the ruffed grouse hunter in me secretly hoped that Adams had an affinity for this great game bird. This is an intriguing metaphor! In New England, where Adams grew up, the word “partridge” meant the ruffed grouse. Moreover, any grouse hunter who has stumbled upon a covey (a family group) of ruffed grouse knows how unorganized and chaotic it can be. Adams’ use of this metaphor suggests that he understood this from experience, which further suggests that he hunted ruffed grouse as a child. Man, I wish I would have known about this statement when I first wrote my article! JOHN ADAMS, A GROUSE HUNTER? While we cannot know the answer for sure, I think this is good evidence that Adams was a grouse hunter as a child. I’ll let you judge for yourself. Love that book. 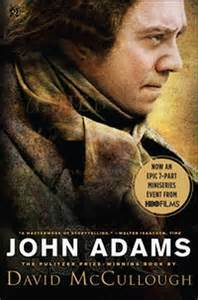 John Adams was an incredible man. Not surprised someone that brilliant was a bird hunter. I wish we had more information on his hunting adventures, Jon.